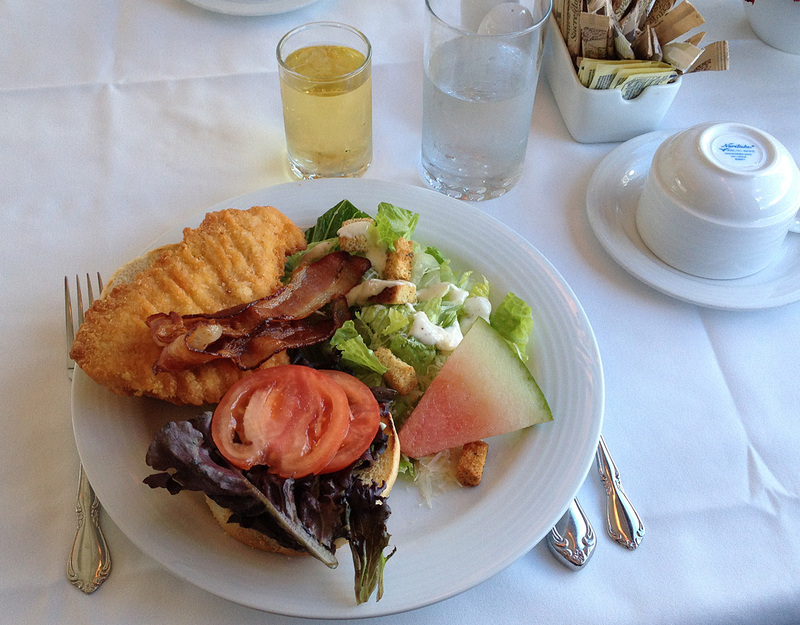 It was in middle school that I first became acquainted with “The Canadian”. 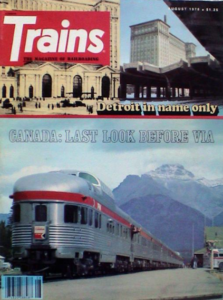 A cover photo on the August 1978 edition of Trains magazine showed the beautiful CP Rail “Park”-series dome-observation car on this train in the mountains, and I was hooked! 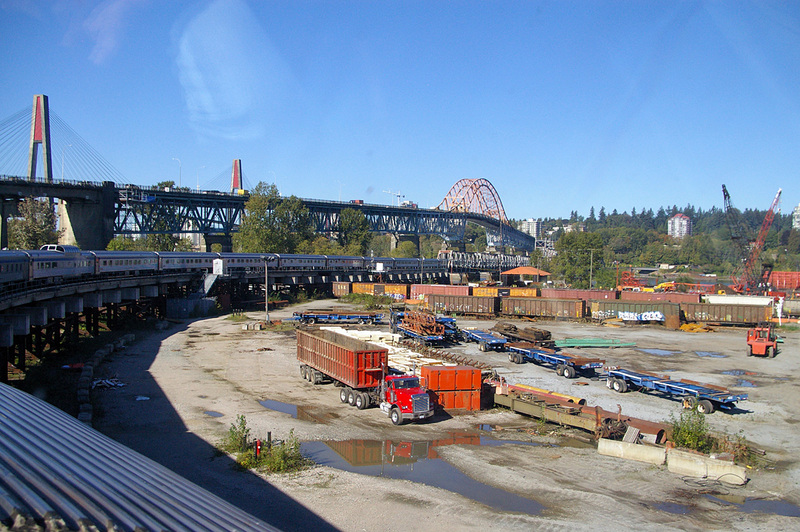 I had already watched the film Silver Streak in 1977, filmed using CP Rail’s Budd equipment, and I knew that someday I’d have to ride this train. 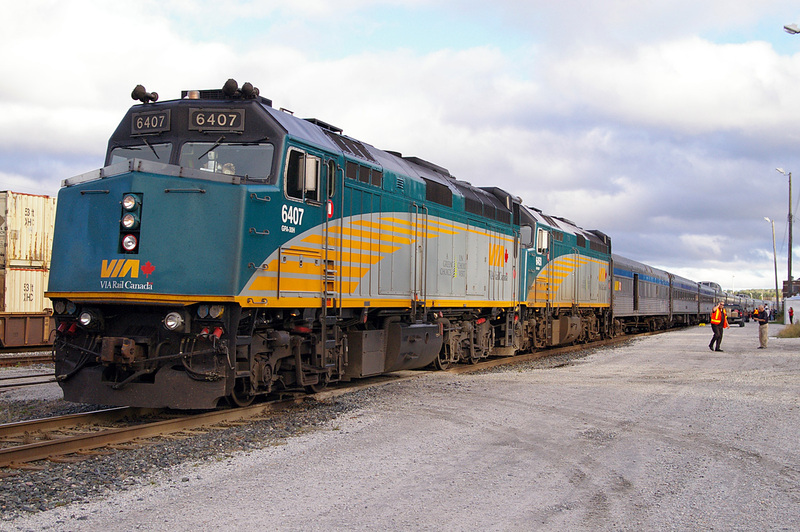 Years turned to decades, and operation of “The Canadian” moved from CP Rail to VIA Rail Canada, and frequency was reduced from daily to 2–3 times a week. 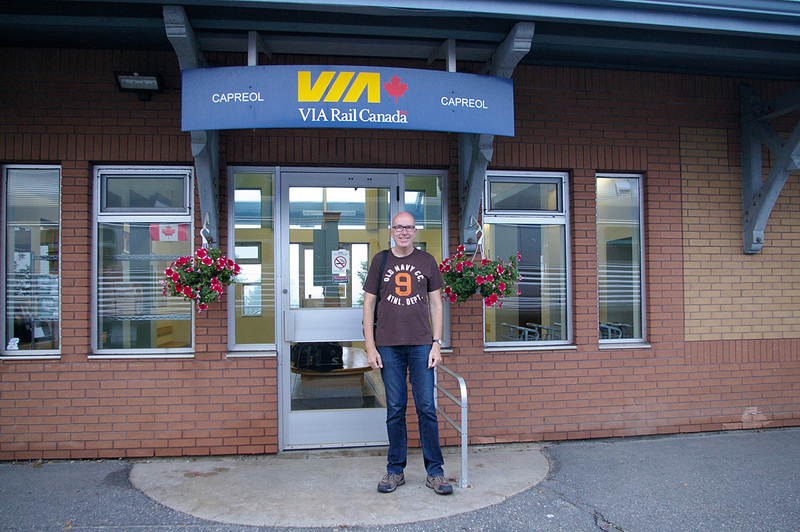 It was time to plan a ride, and on the evening of 17 September 2016, I was holding tickets for my friend Szymon and myself to ride this famed train all the way through from Toronto to Vancouver. 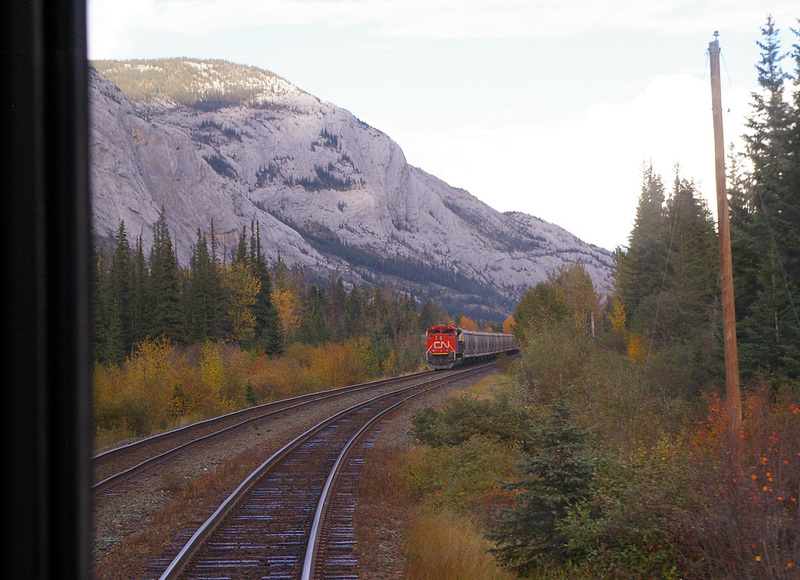 What follows is a photographic journal of our trip on this famed train and a bit of what we saw along the way. 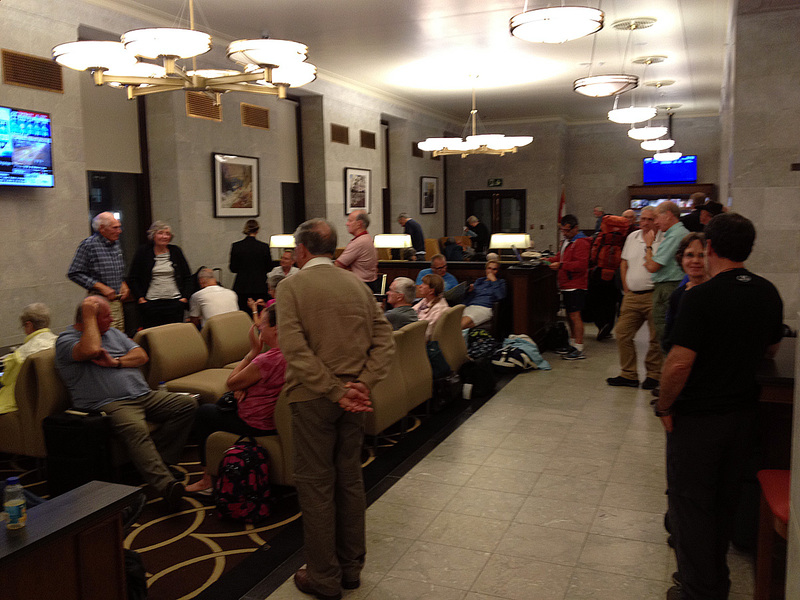 Waiting for the train departure in the “Panorama” lounge in Toronto Union Station. 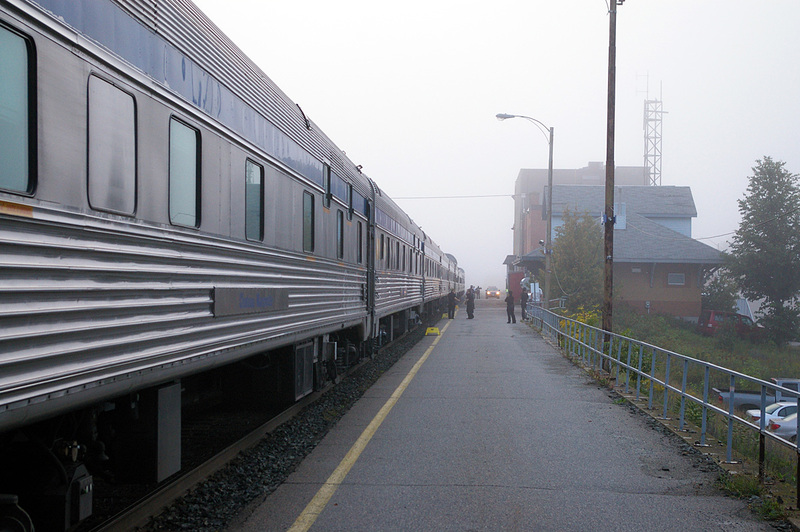 Passengers gather here and are then led to the train when it is ready for boarding. 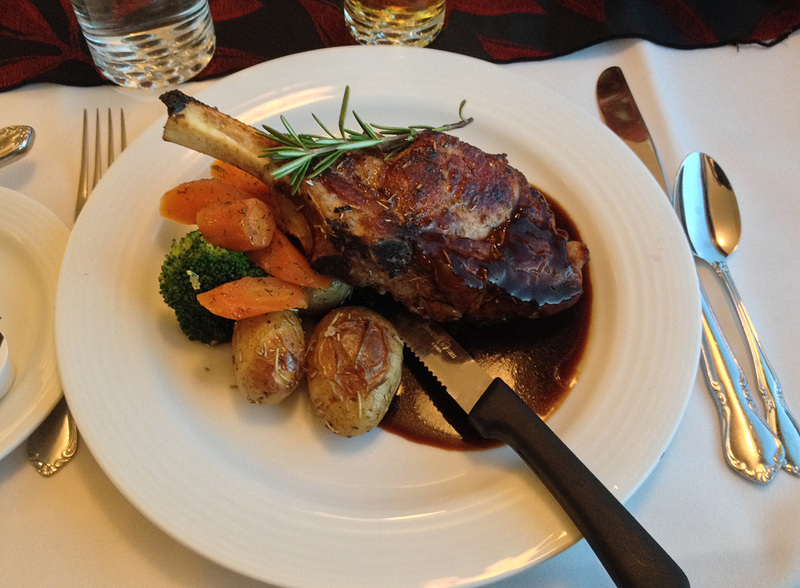 This was our sleeping accommodation on “The Canadian”. 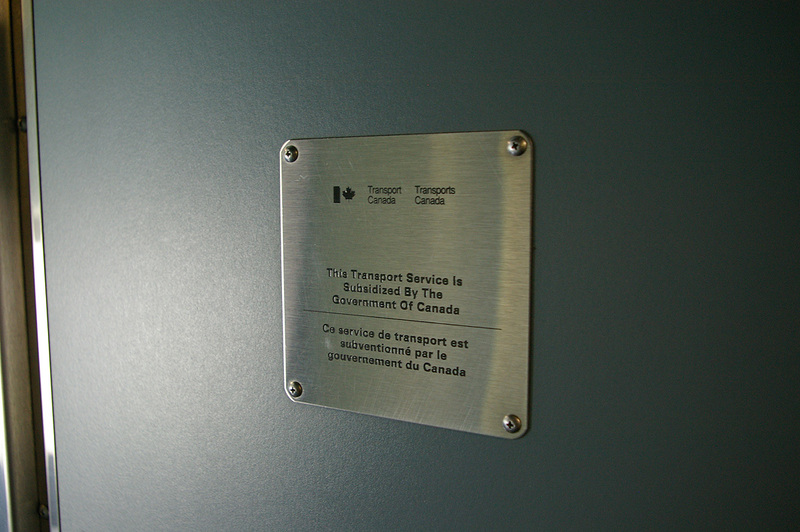 Traditionally known as “sections”, VIA Rail now sells these as upper and lower berths. In the day they are set up as shown; at night, the seats make into a bed, and a 2nd bed is lowered from above. Heavy curtains close the sleeping space off from the corridor. 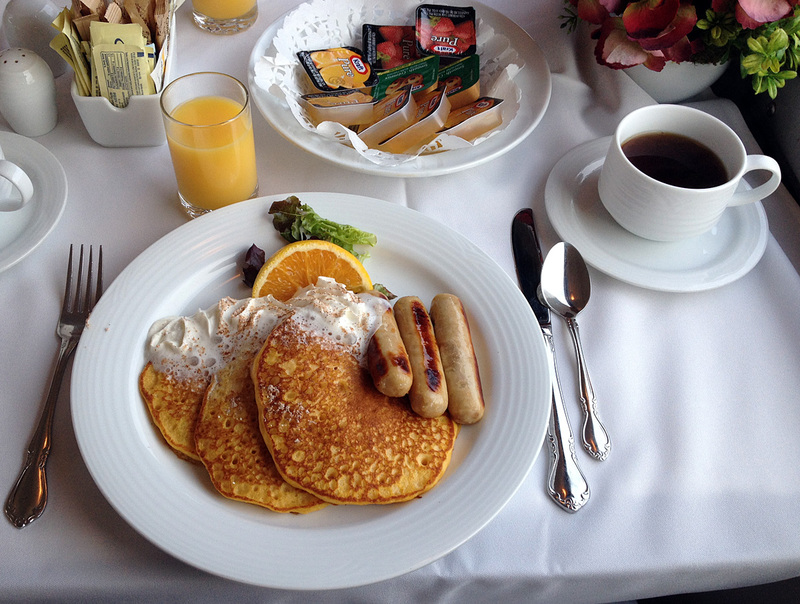 First breakfast on the train—pumpkin spice pancakes! 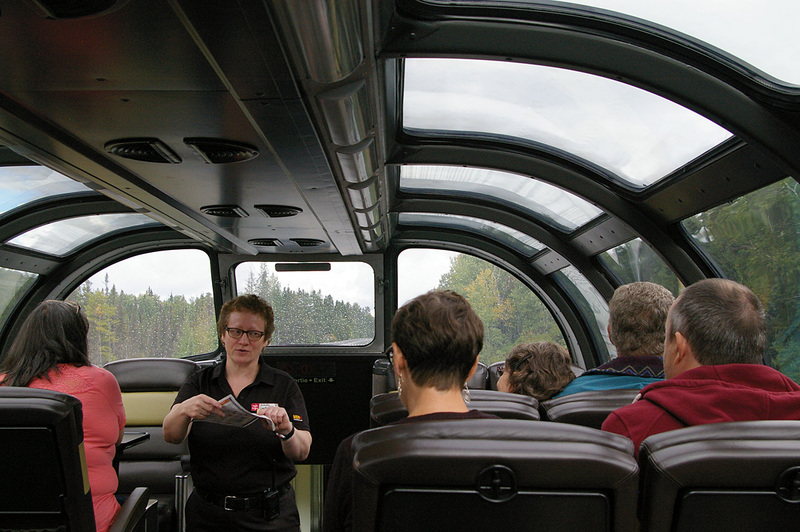 Our activity coordinator from Toronto to Winnipeg gives a lecture on railroad signs and signals in the dome car. The activity coordinators gave talks on many subjects, led wine and beer tastings, and held trivia contests. 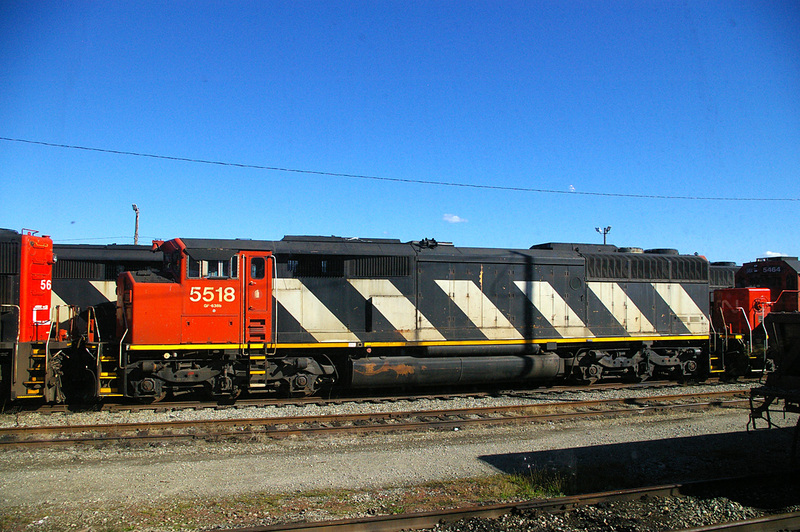 Two VIA Rail GMD F40-PH locomotives were the power for the train all the way from Toronto to Vancouver. 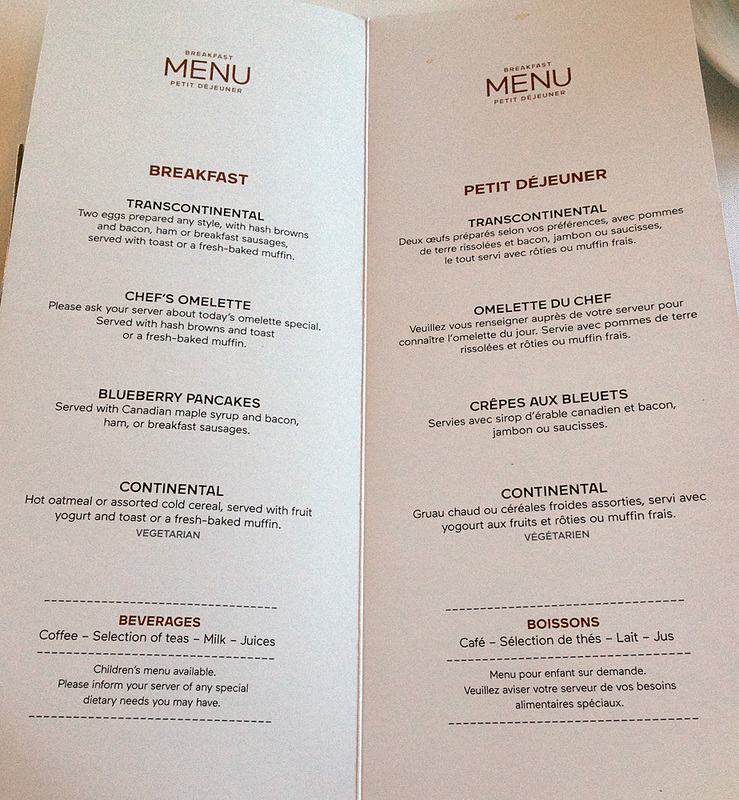 We were assigned to the sleeping car “Chateau Marquette” (VIA #8218). 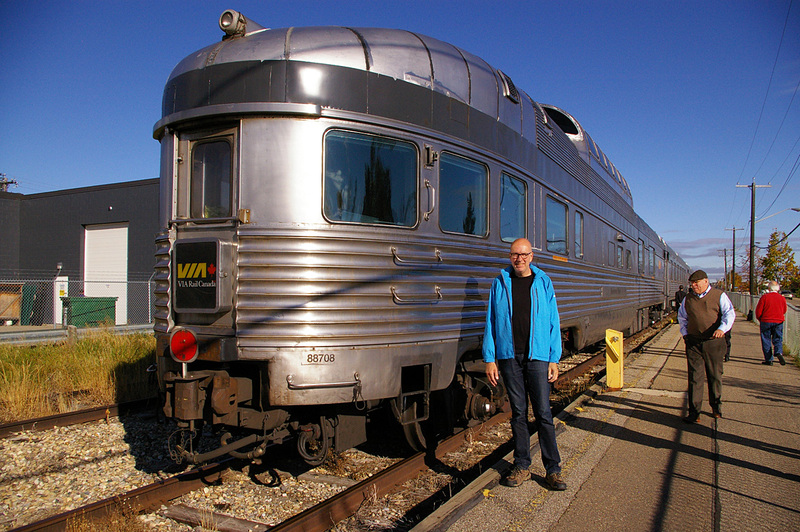 Built in 1954, the car has 3 sets of upper/lower berths, 8 single bedrooms, 1 triple bedroom, 3 double bedrooms, 2 common washrooms and a common shower. 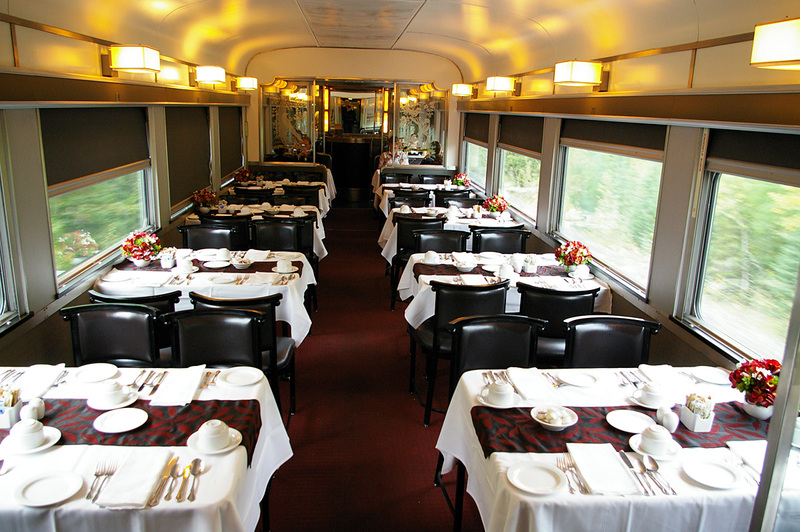 The lower level of the Skyline dome car has a table area at one end. 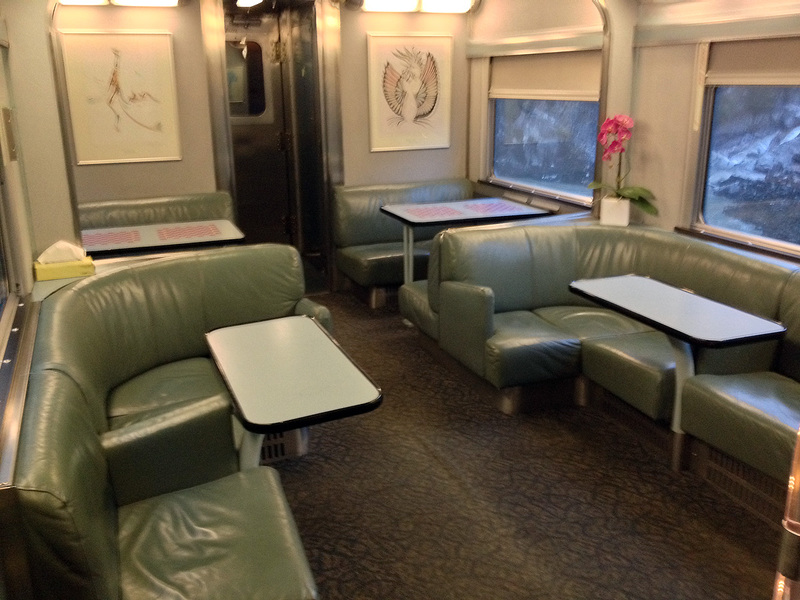 On some trains meals can be served here, but on “The Canadian”, this is just passenger space: for playing games, waiting for space in the dining car, or having a morning coffee and juice. 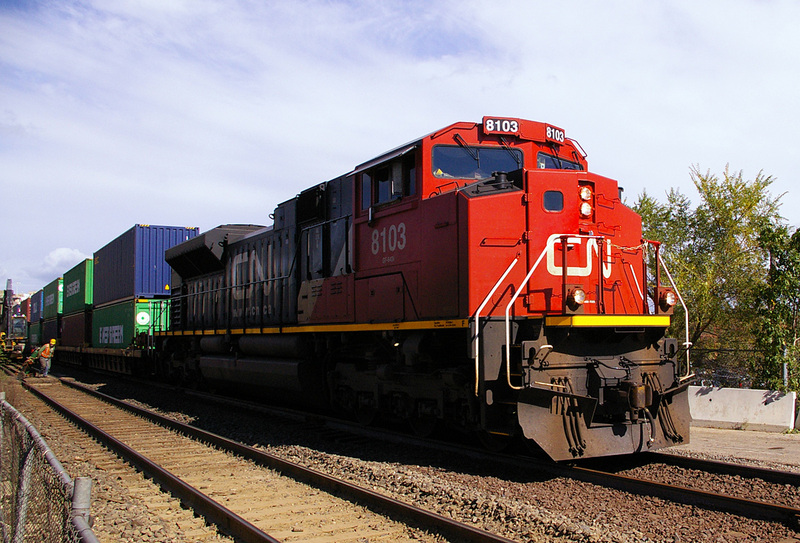 A Canadian National freight train passes the station in Winnipeg, MB. 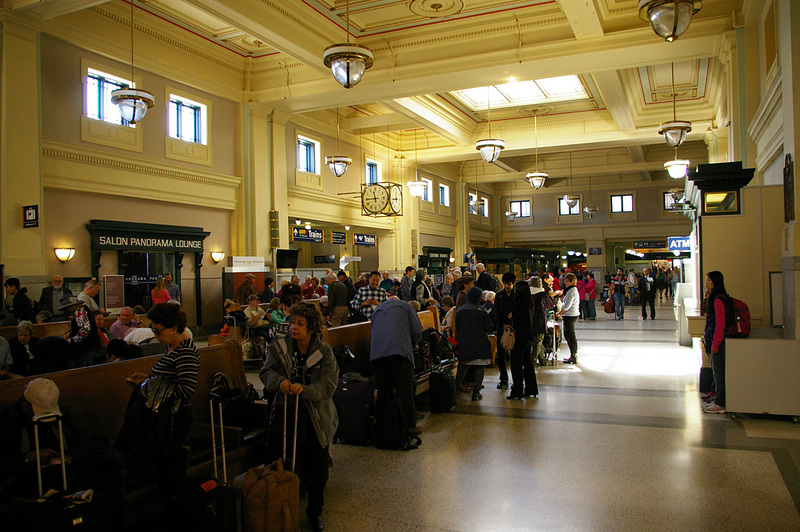 In the main hall of the station in Winnipeg, MB. 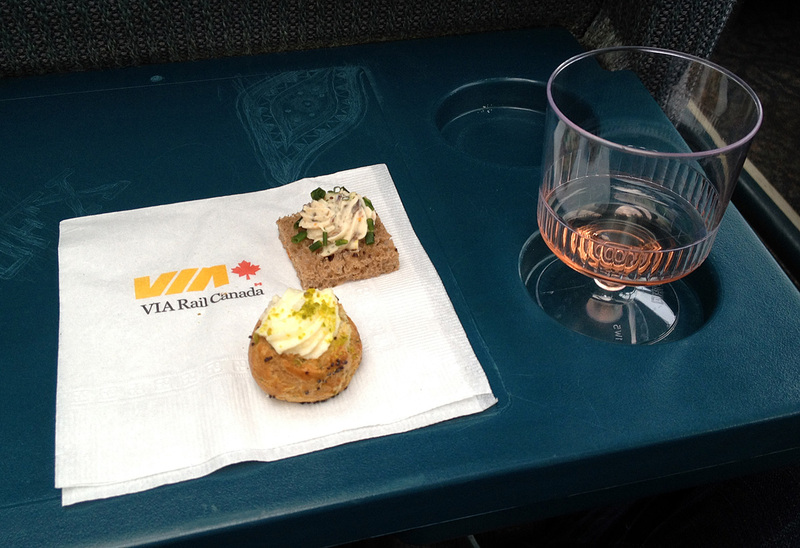 We had a layover of about 45 minutes here, while “The Canadian” was serviced. 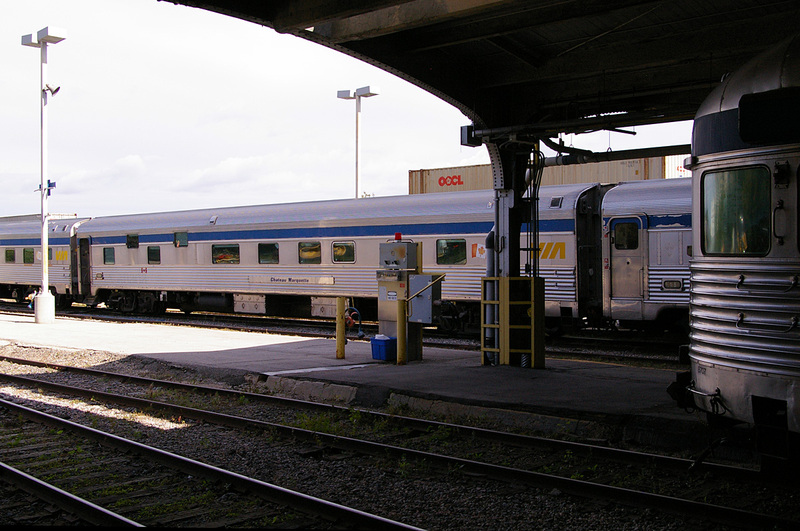 The first two tracks of the Winnipeg train station now house the Winnipeg Railway Museum. 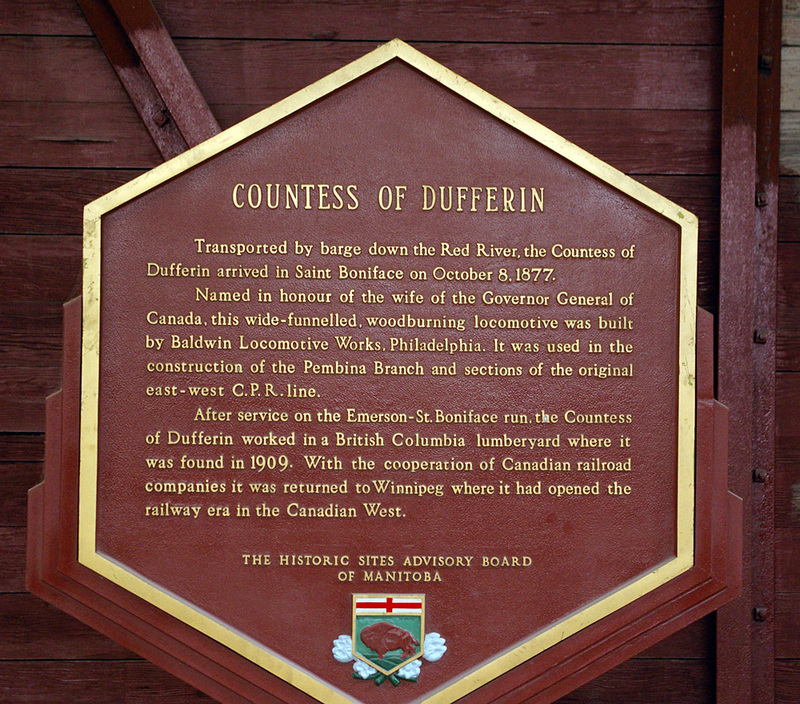 This is the “Countess of Dufferin”, the first steam locomotive to operate in the Canadian prairie provinces. 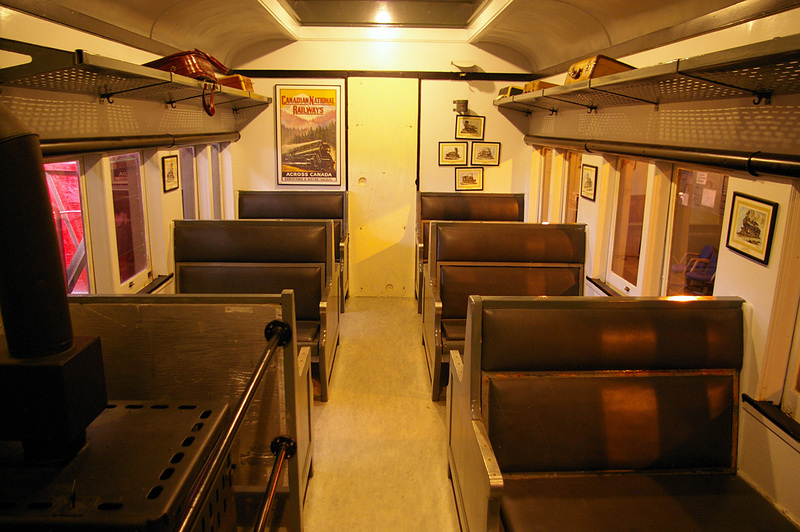 Interior of a “mixed train” coach in the Winnipeg Railway Museums. 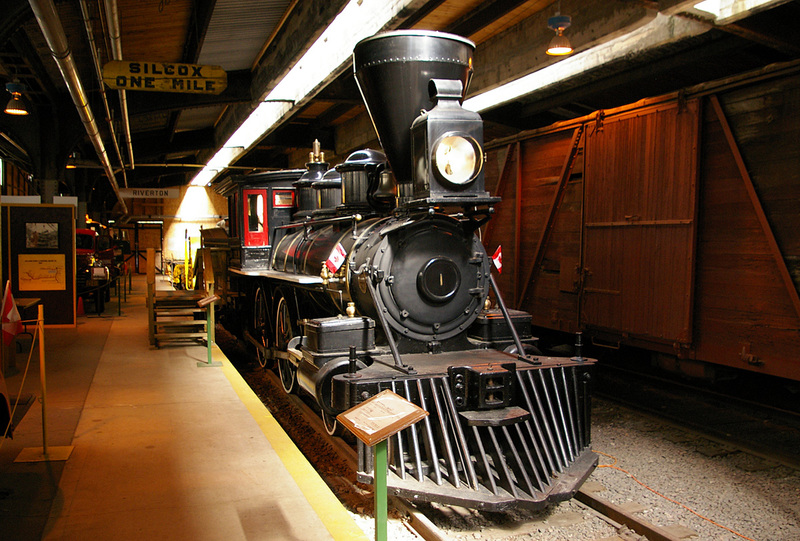 Mixed trains were usually a freight train with one passenger car for anyone who wanted to travel on a secondary line. They were usually slow, and passenger accommodations were basic. 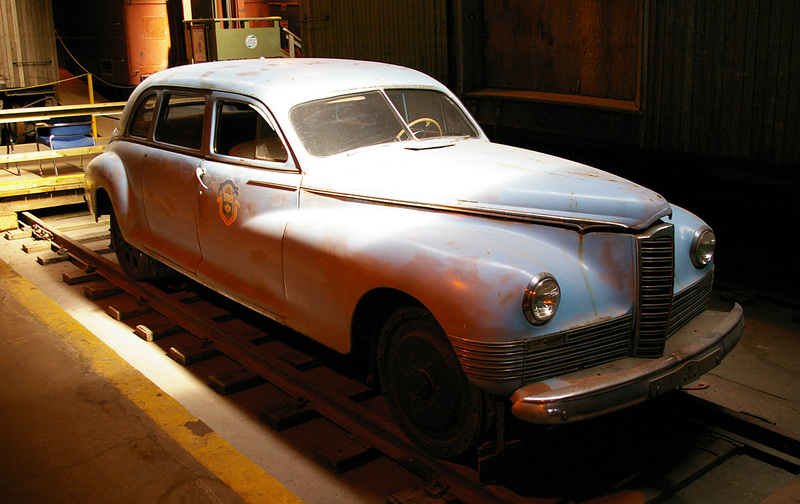 Here is an automobile that was fitted with flanged wheels for track inspection purposes, at the Winnipeg Railway Museum. 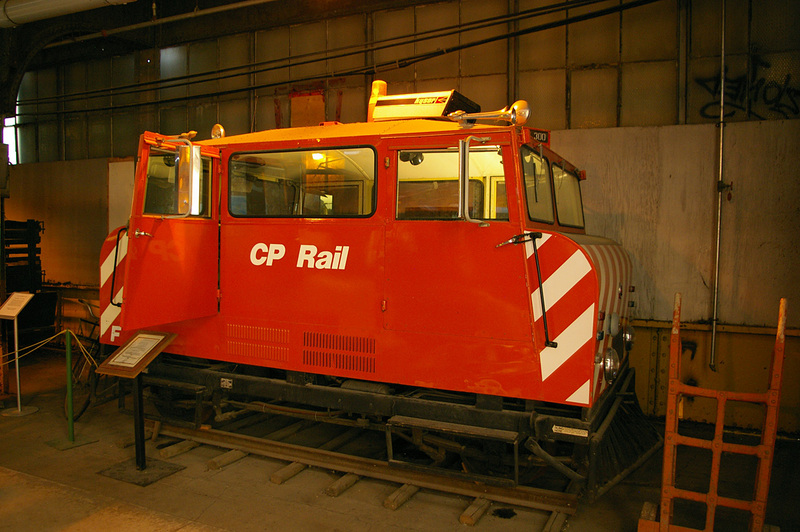 A Plymouth 35-ton switching locomotive (built 1930), formally used by the City of Winnipeg, at the Winnipeg Railway Museum. 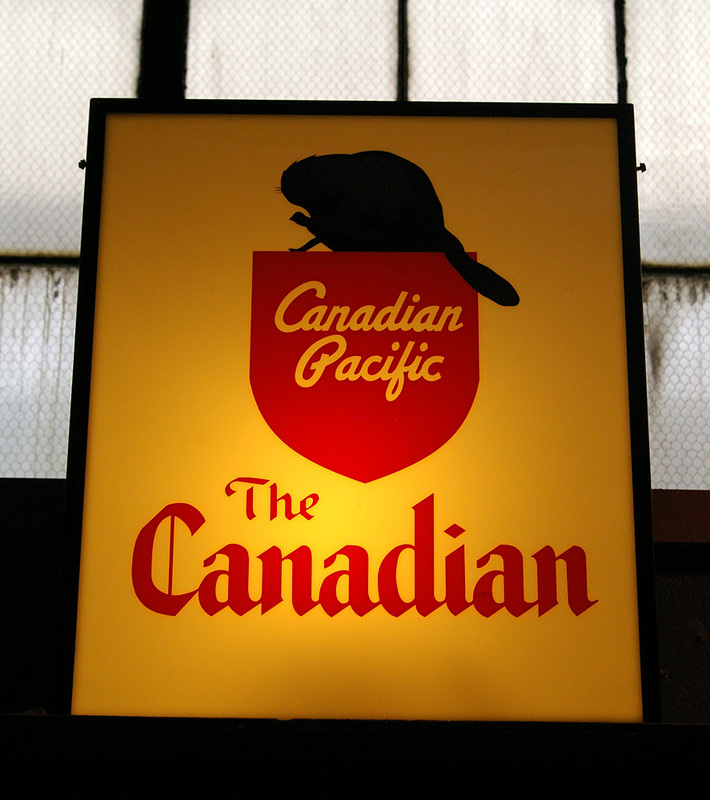 An lighted sign from “The Canadian”, found at the Winnipeg Railway Museum. 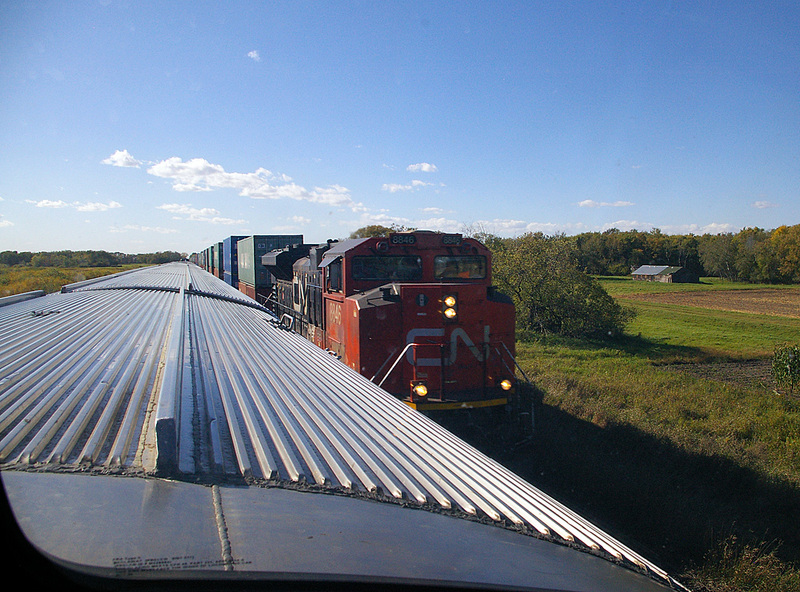 “The Canadian” passes an eastbound CN freight train as we head out of Winnipeg, MB. 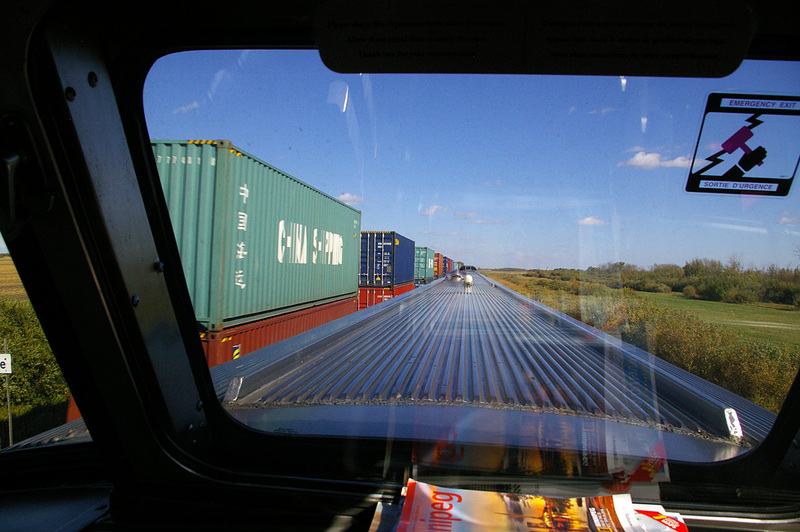 Looking out the back window of the dome car at the same train. 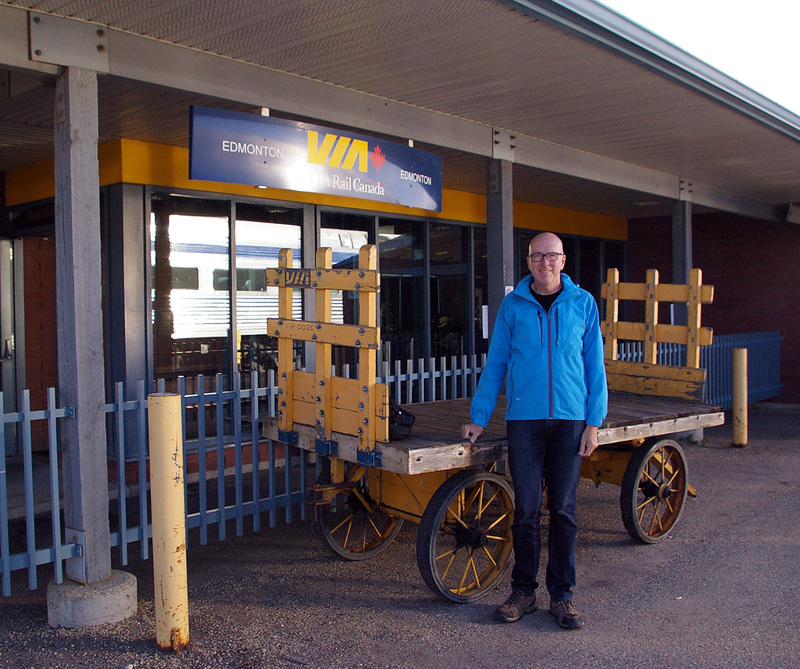 Our train was made up of 25 carriages, with a 26 being added for the Edmonton-Vancouver section. 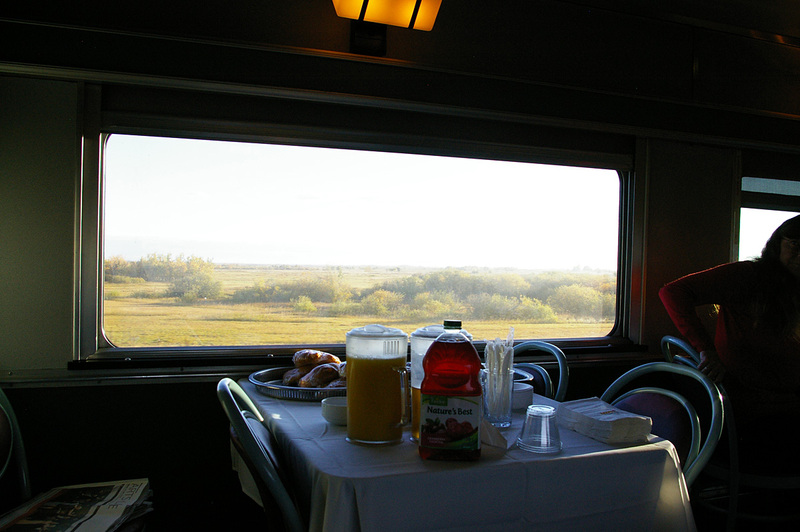 In the mornings, juice, coffee, tea and muffins were available for sleeping car passengers on the lower level of the Skyline dome car. 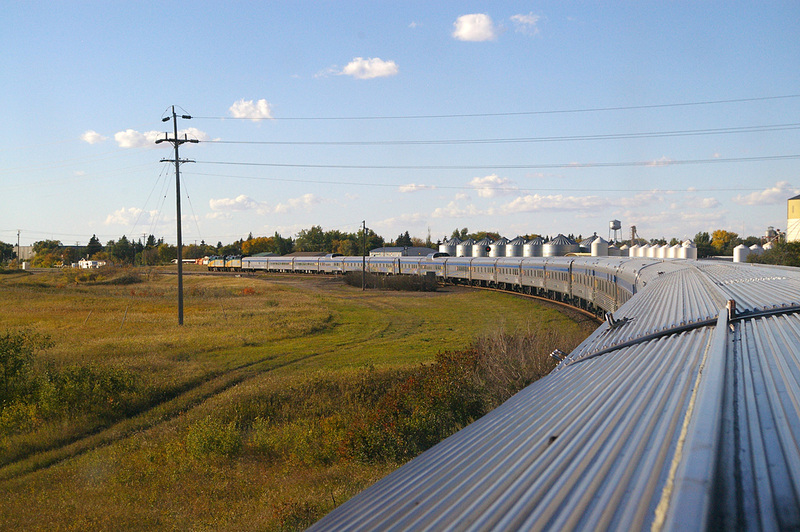 Arriving in Edmonton, some old CN locomotives were visible. 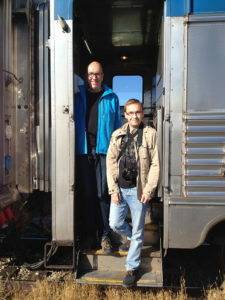 The blog author and the Park car during a break in Edmonton, AB. 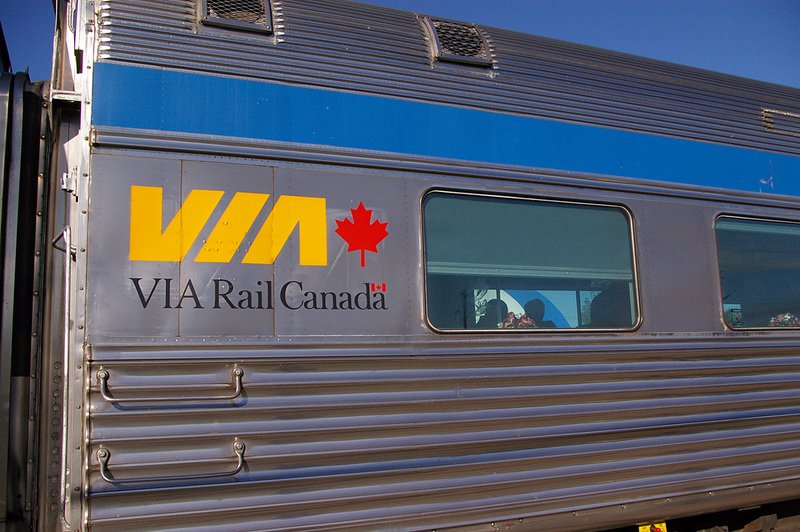 A generic VIA Rail Canada sign is now carried on the Park car, instead of one with the train’s name. 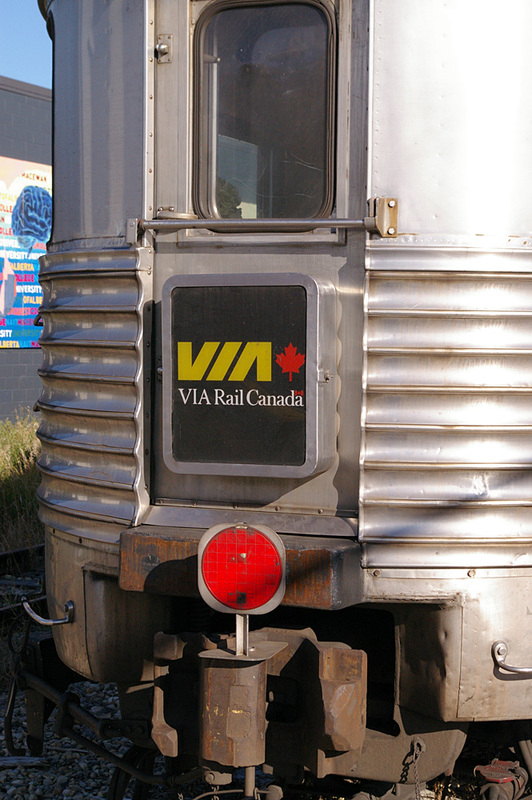 On the sides of the cars, you can see traces of the older, bigger VIA logo, and the rivets where the original Canadian Pacific Railway logos were placed. 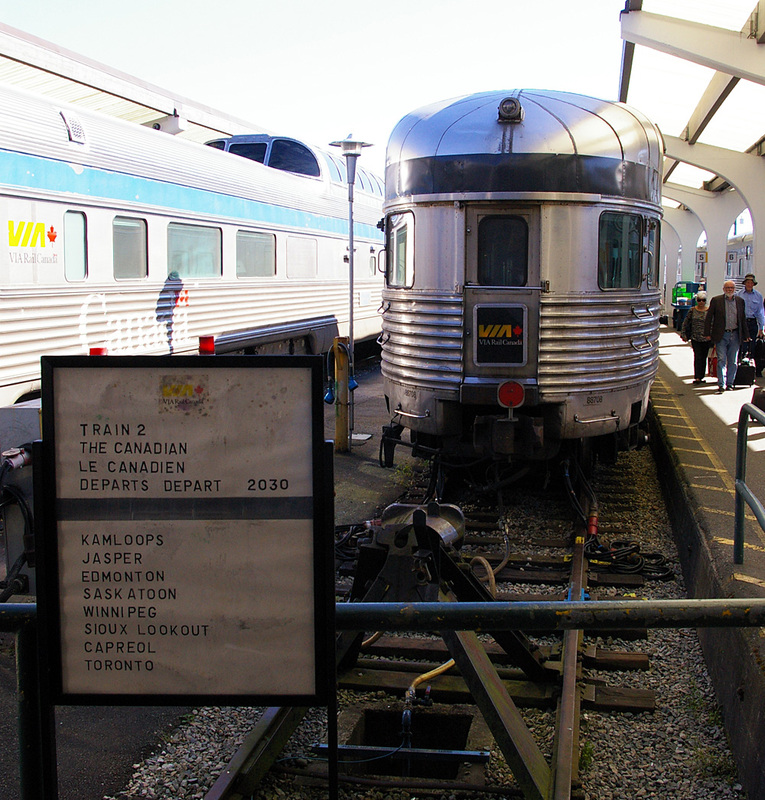 At Edmonton, a Panorama car is added to the train for the trip through the mountains to Vancouver. 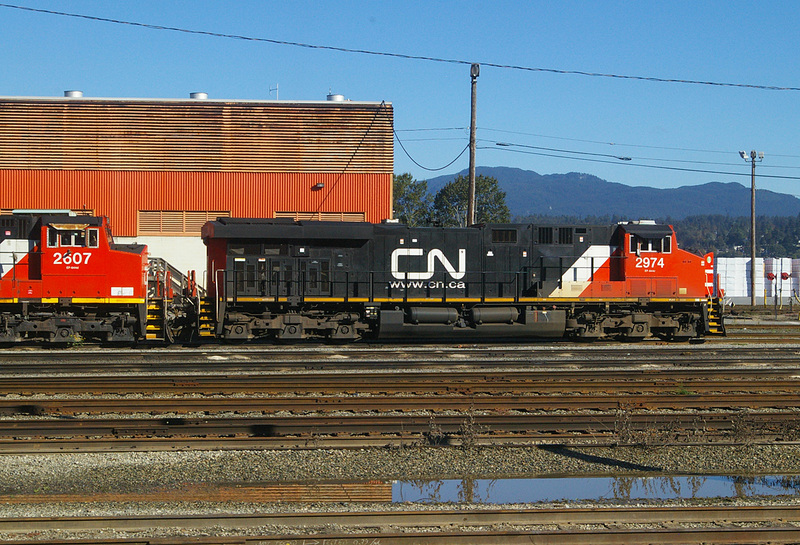 These cars were originally used by the British Columbia Railway. 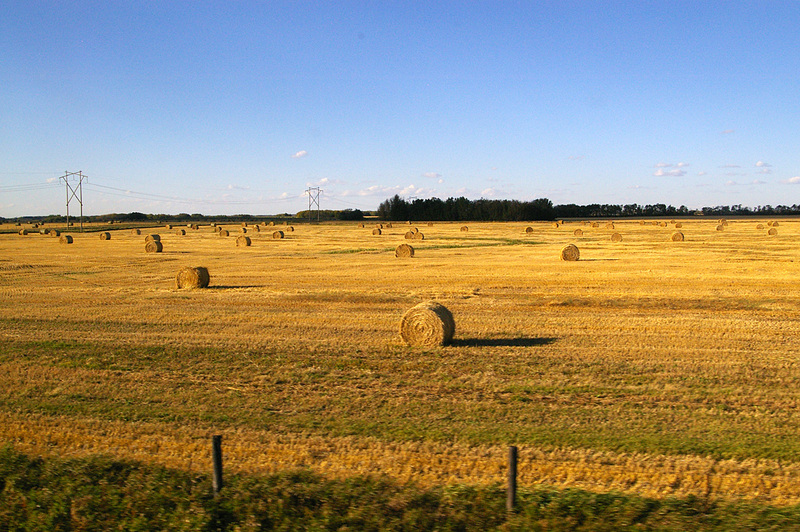 The author at the Edmonton, AB VIA station. 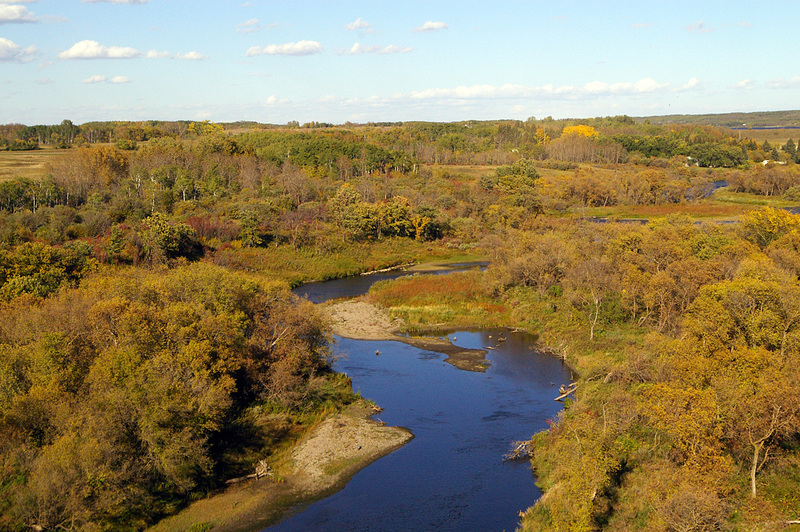 The station is located in the outskirts of the city, near the old airport. 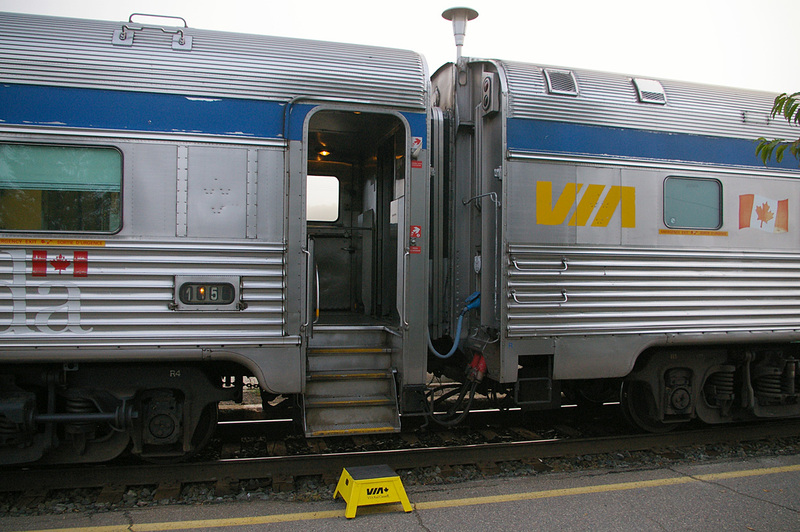 As with all VIA Rail Canada services, a subsidy from the Government of Canada allows continued operation of “The Canadian”. 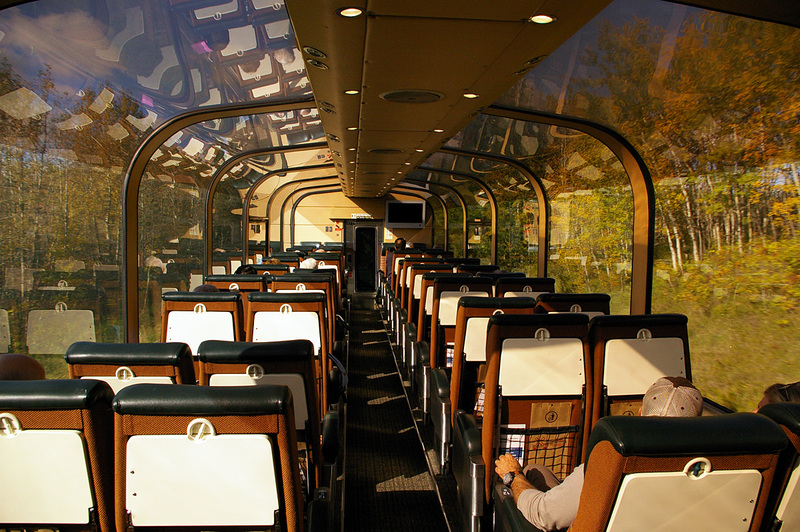 Inside the Panorama car, which was added to the train at Edmonton. 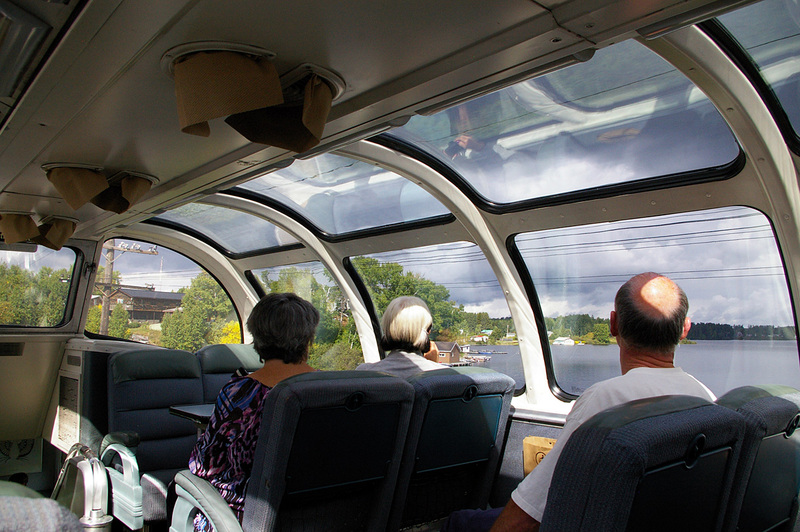 Personally, I preferred the traditional dome cars. 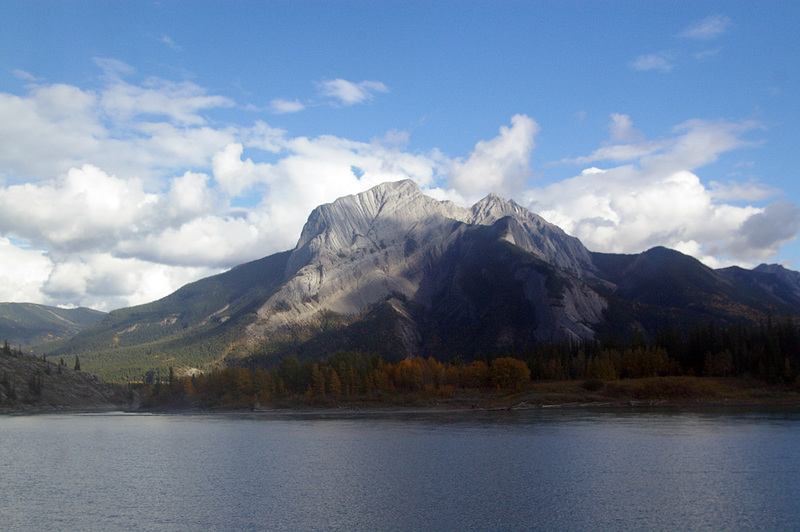 The mountain scenery starts, in western Alberta. 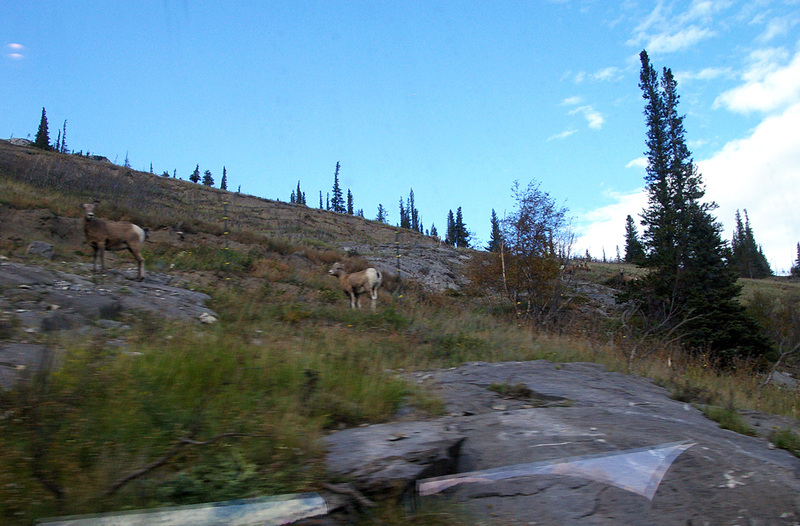 Mountain sheep as seen from the train. 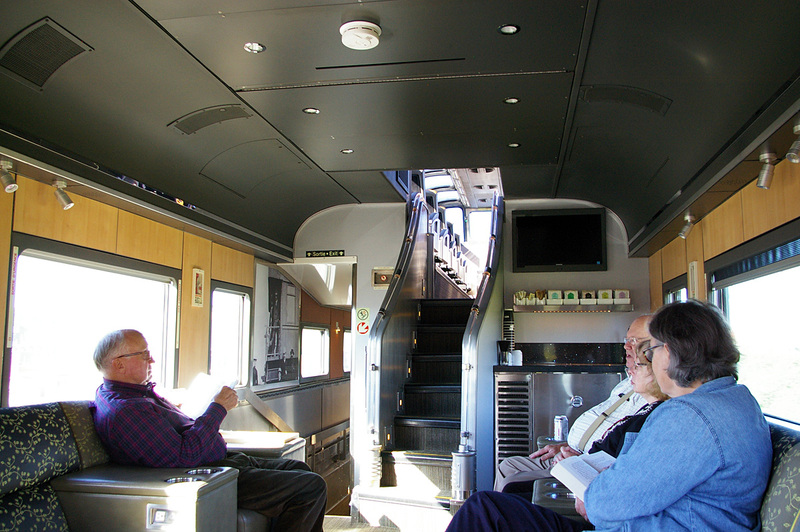 The lower level of the Skyline dome cars has a lounge area at one end. 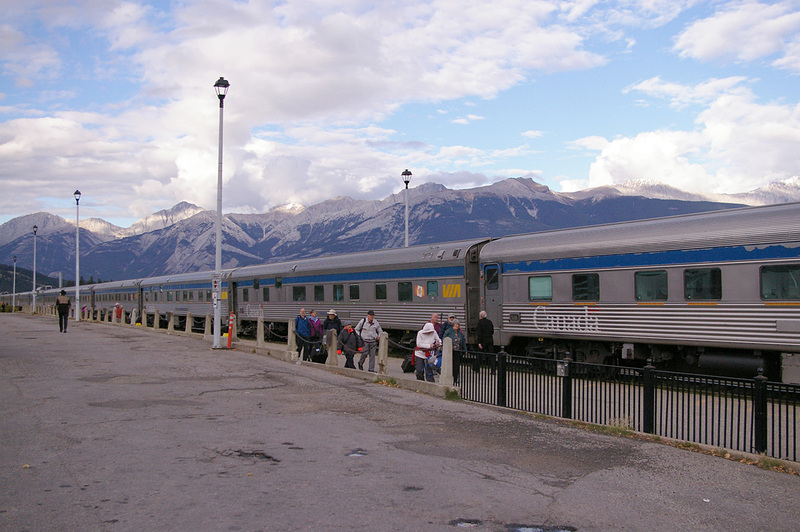 “The Canadian”, upon arrival in Jasper, AB. 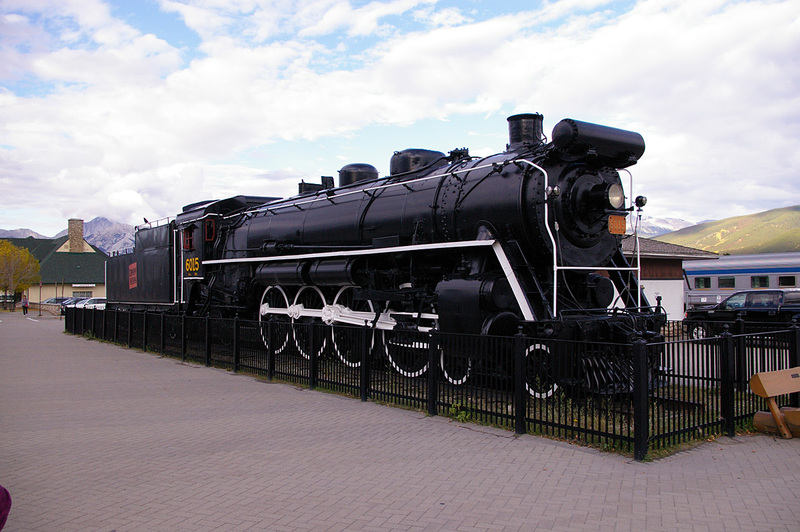 Canadian National Railway steam locomotive #6015 is on display in Jasper. 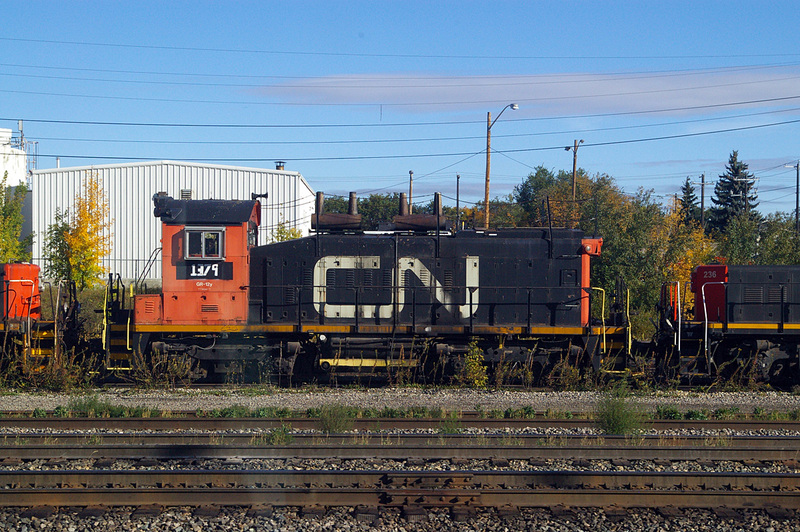 This locomotive joined CN’s fleet in 1923. 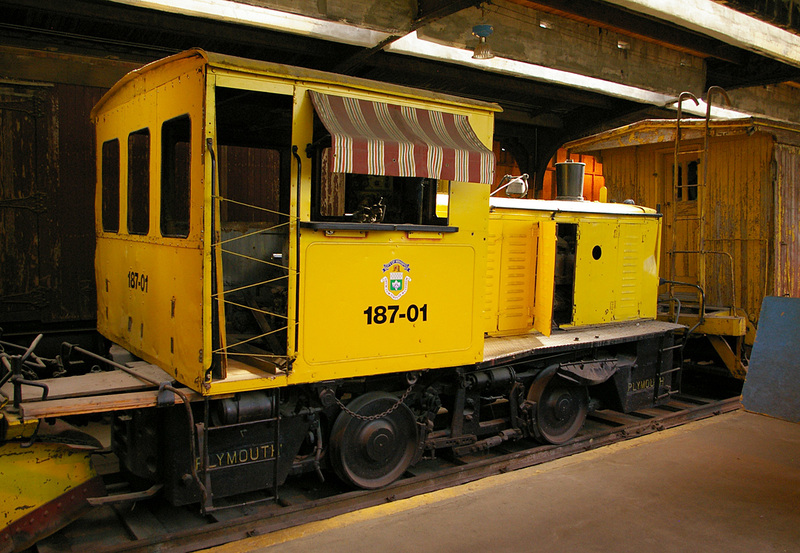 This “mountain locomotive” was one of 16 delivered that year. 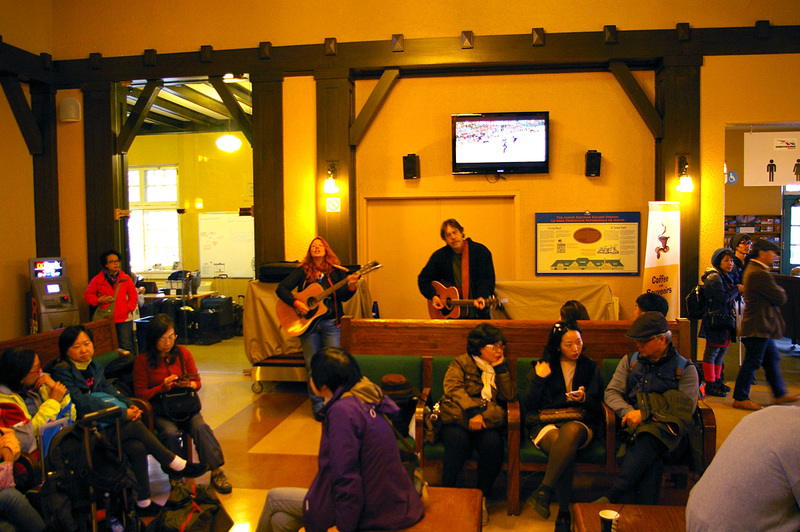 While waiting for re-boarding the train at Jasper, the on-board musicians played some songs in the train station. 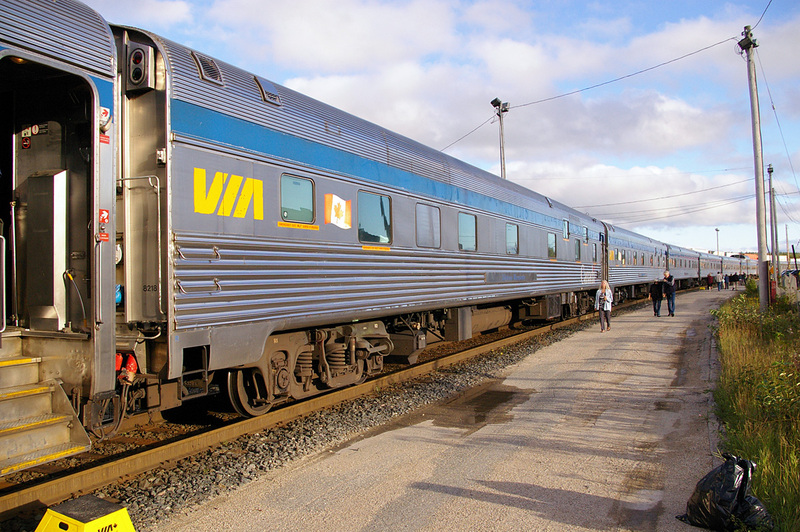 VIA Rail offers travel discounts to entertainers, if in return they will perform on the train. 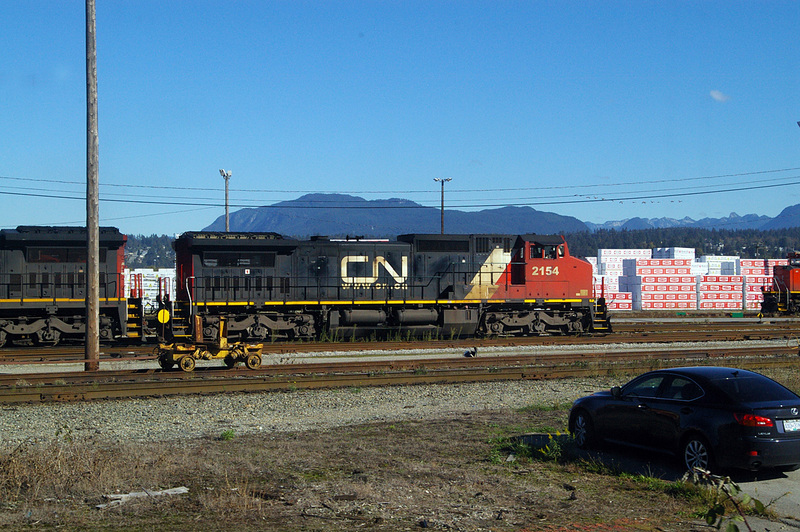 One of CN’s office cars, used for company inspection trips, near Vancouver. 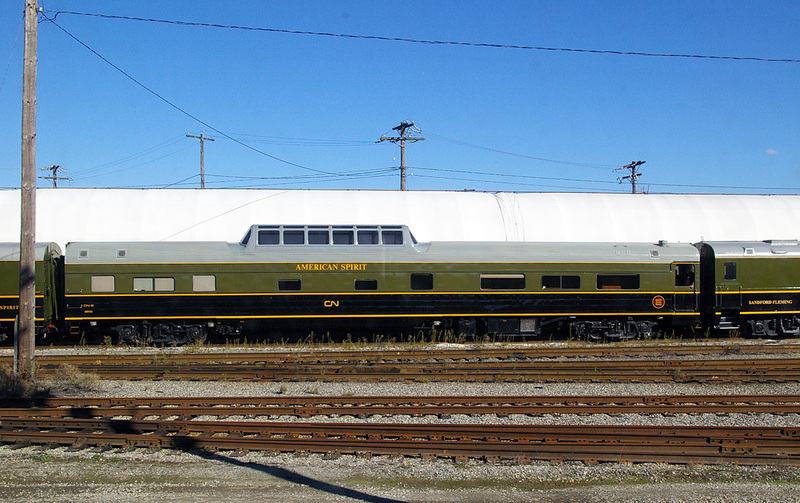 “American Spirit” is a dome car original built for the Great Northern Railway in the USA. 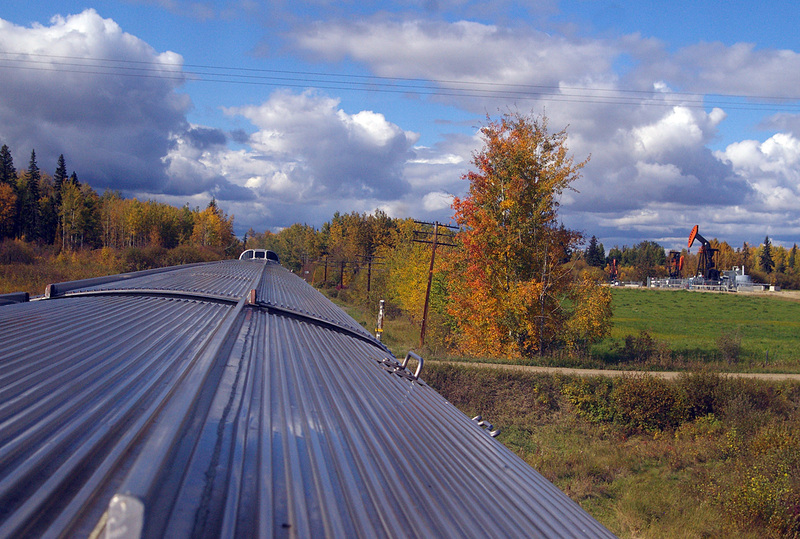 “The Canadian” enters a curve to cross the Fraser River, nearing Vancouver, BC. 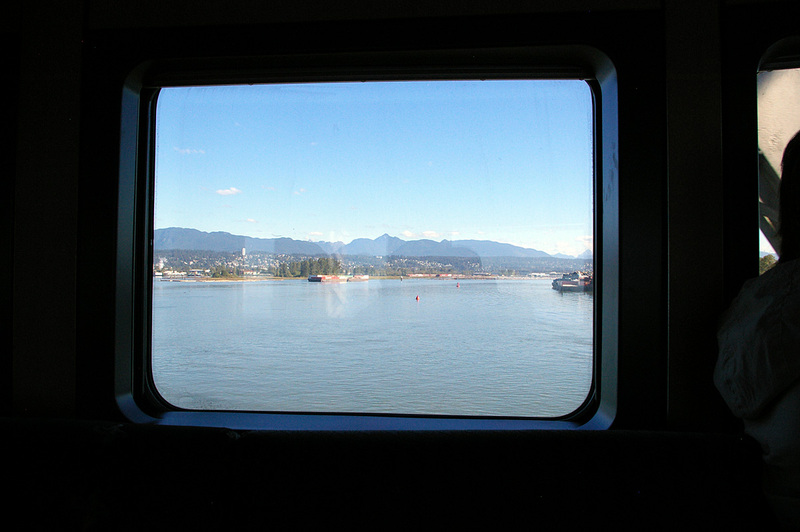 Crossing the Fraser River, seen from the Park car. Arrival! 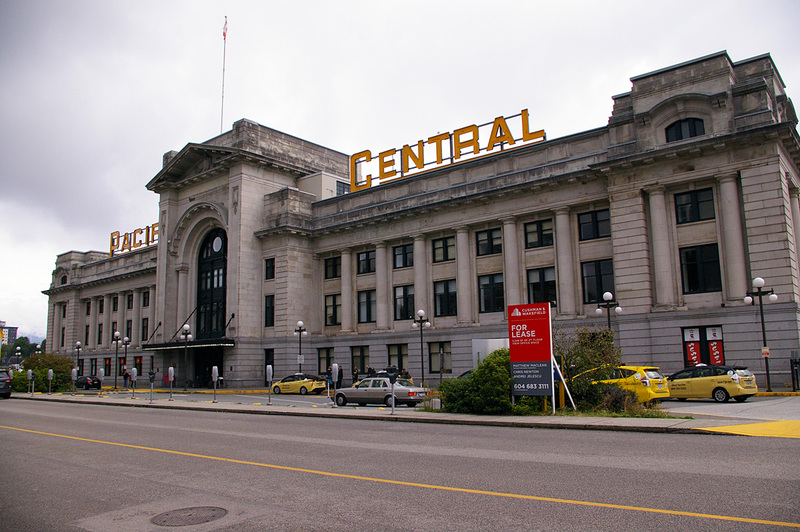 “The Canadian” at Vancouver’s Pacific Central Station. 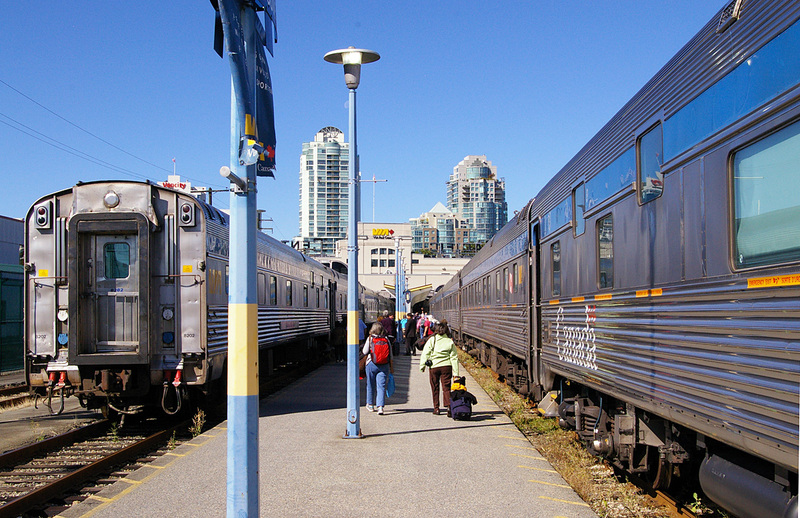 The train is backed into the station at Vancouver, then split into two parts. This way it will be ready for the next departure. 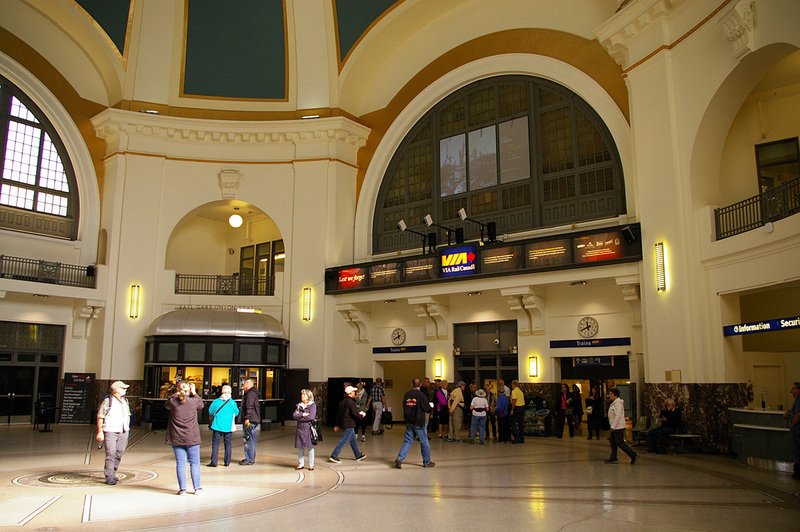 The interior of Pacific Central Station in Vancouver, which was originally the Canadian National station. 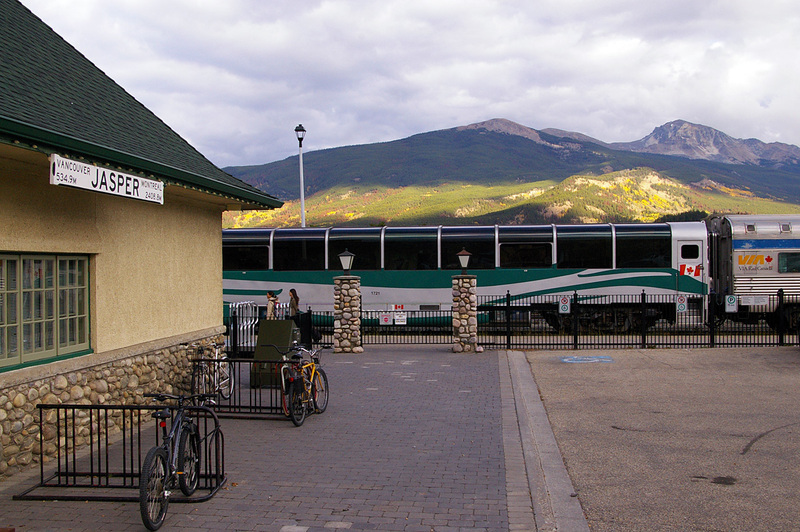 The station now serves VIA Rail, Amtrak and bus companies. 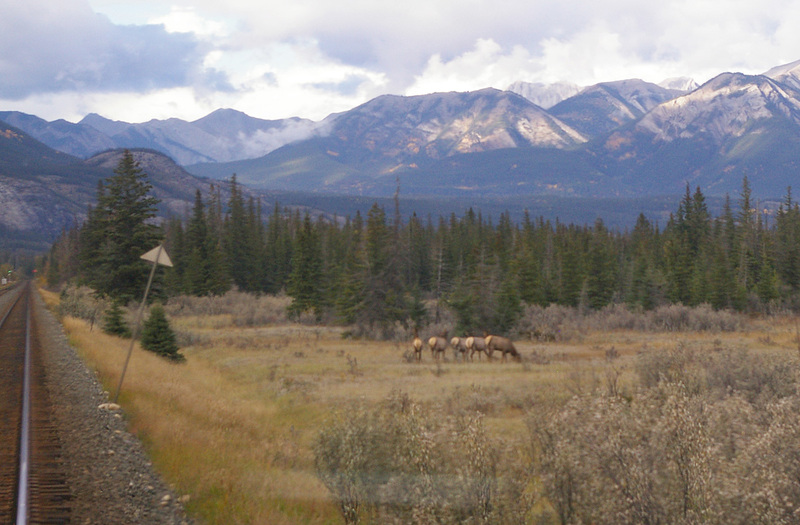 The journey on “The Canadian” was certainly the best train trip I have ever taken. I packed a book to read, expecting long boring segments with nothing to do. I didn’t actually have a chance to even open the cover! 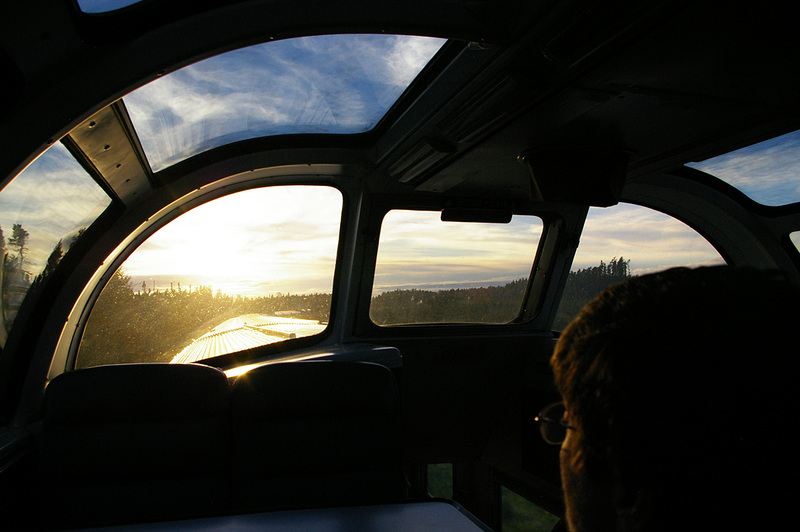 Between the scenery outside the window, the constant meals, talking to other passengers, and the on-board activities, there wasn’t a spare moment to read. 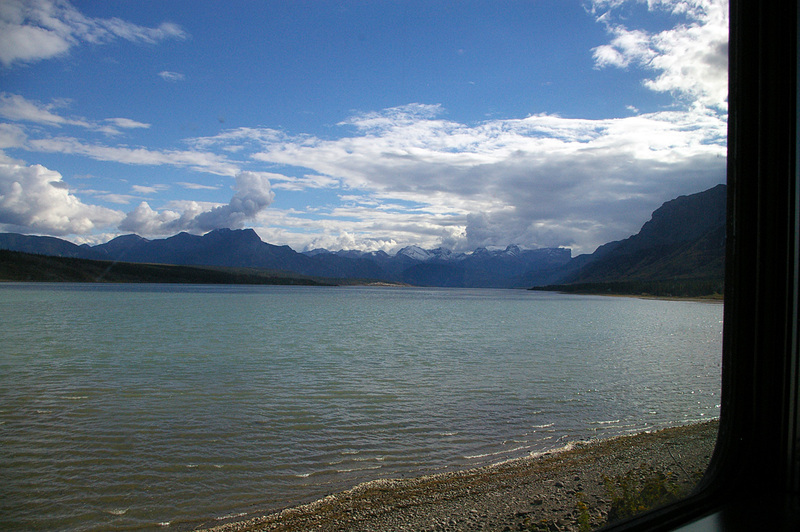 It’s a trip I’d certainly take again, and hope to do so in the future. 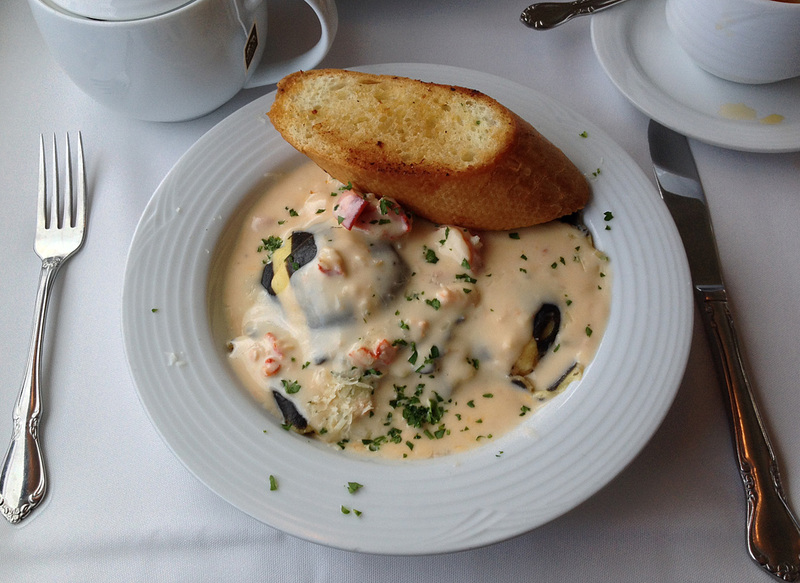 First, though—VIA to Hudson Bay, VIA to Halifax….? 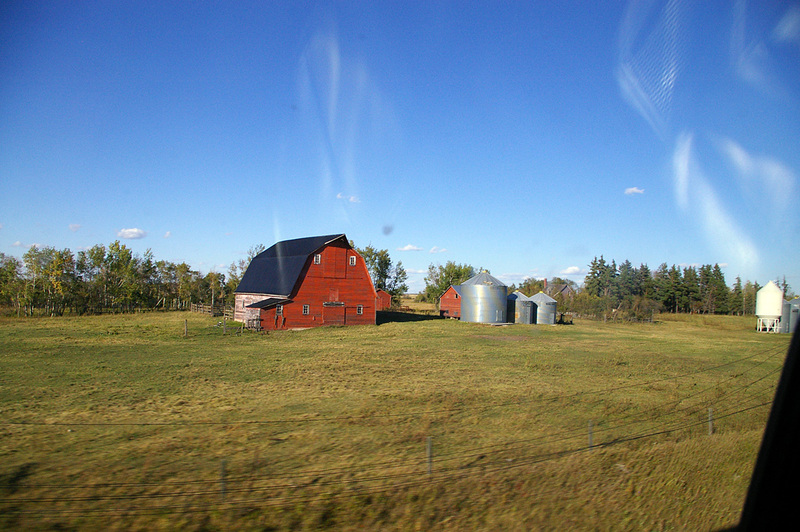 The author and co-traveler Szymon en route across Canada. Great pictures, certainly have a good idea what the trip was like. 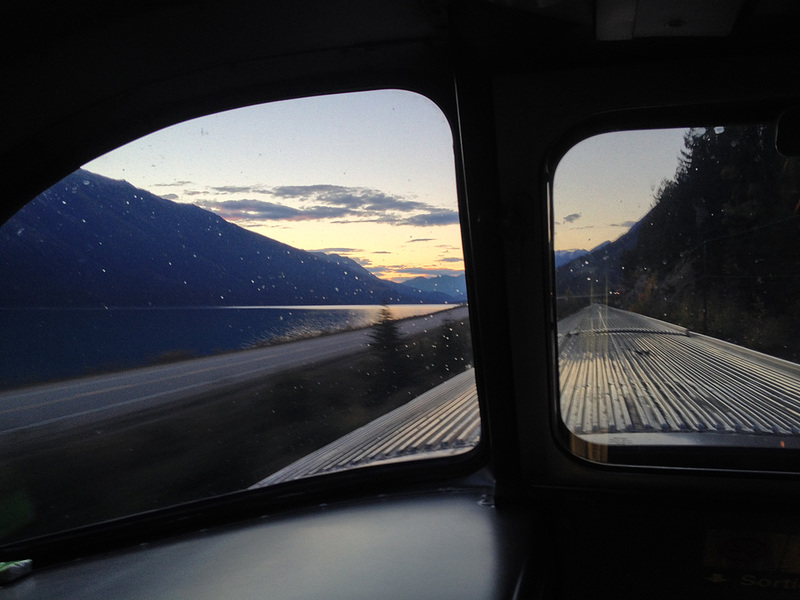 Maybe some day I’ll take this trip too. 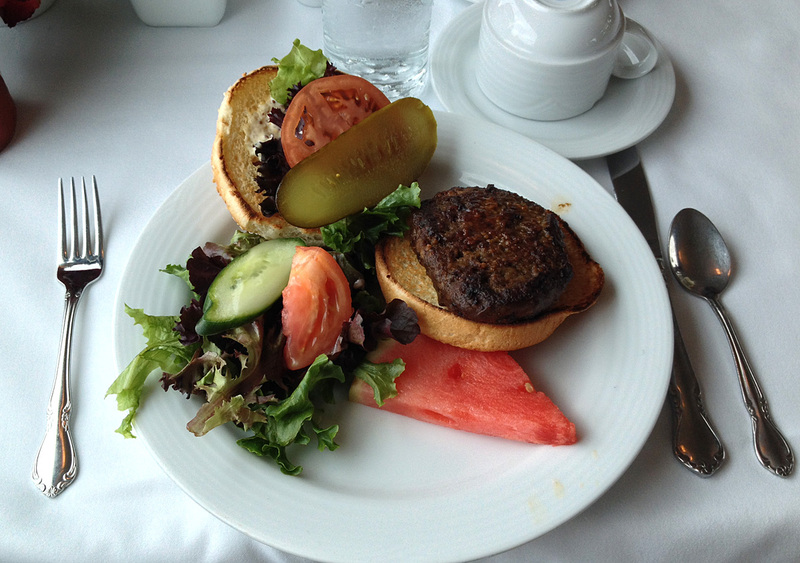 A fabulous photo essay of your VIA experience. Great quality photos. If done with a Smart Phone, I’m impressed. 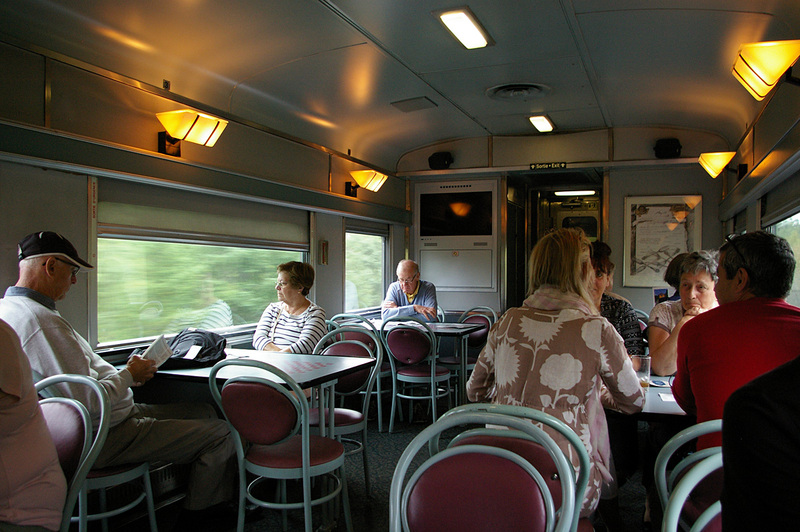 I’m an experienced traveler on passenger trains. I, too, fancy the view from the dome. How was the view at night? Were the lights turned down? 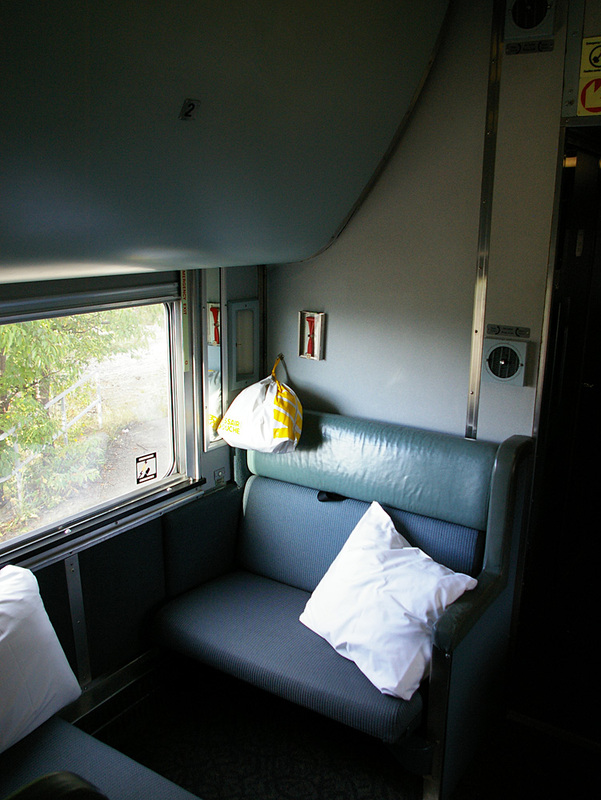 If you were so inclined, could you have walked the train from one end to the other, excepting crew-only space like the crew dorm (sleeper)? 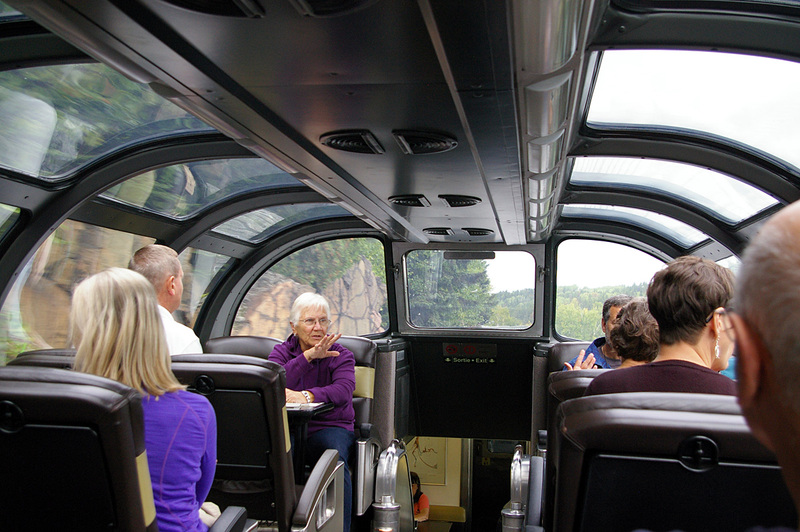 Was the Park car’s dome open to everyone at all during the trip? I’m aware that’s typically reserved. At night, the lights in the dome were off. You could see very well out from the dome. I walked through about 2/3s of the train. You could walk all the way to the coach section at the front if you wished. I simply ran out of time to do that! 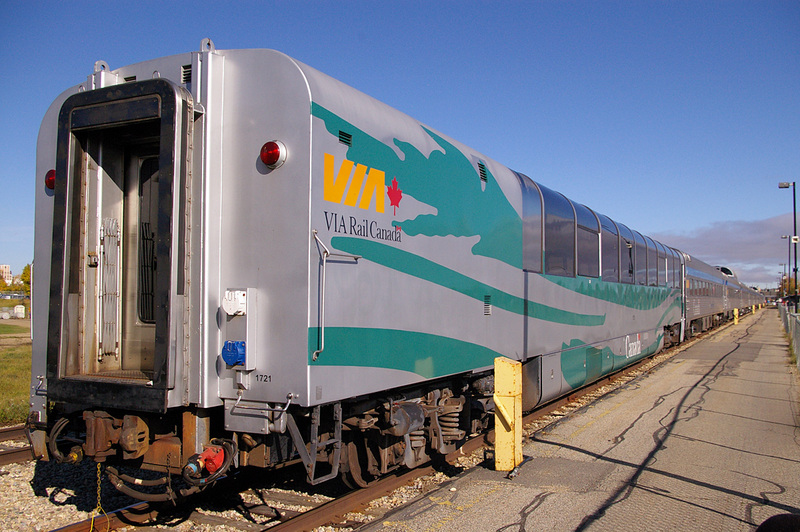 At this time, all sleeper passengers can still access the Park car, although the majority of seats in the dome are reserved for Prestige passengers. I understand that from April 2017, the Park car will be reserved exclusively for the use of Prestige passengers. 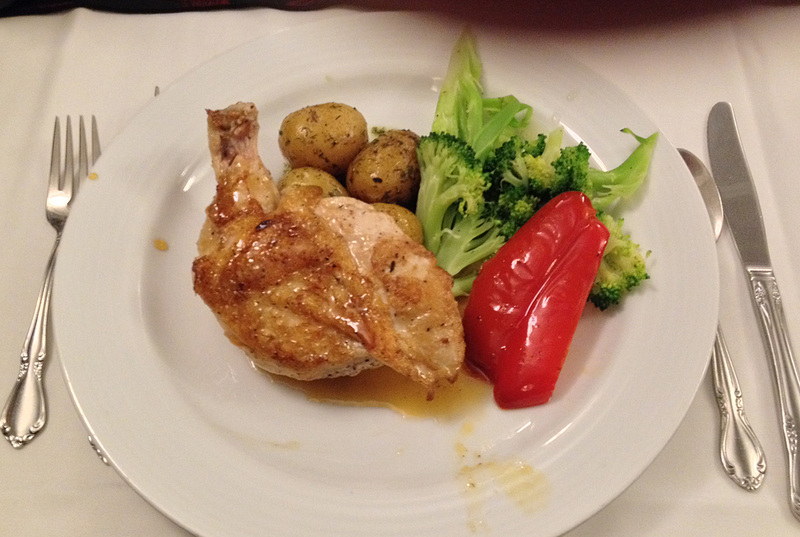 Very nice photo-travelogue. 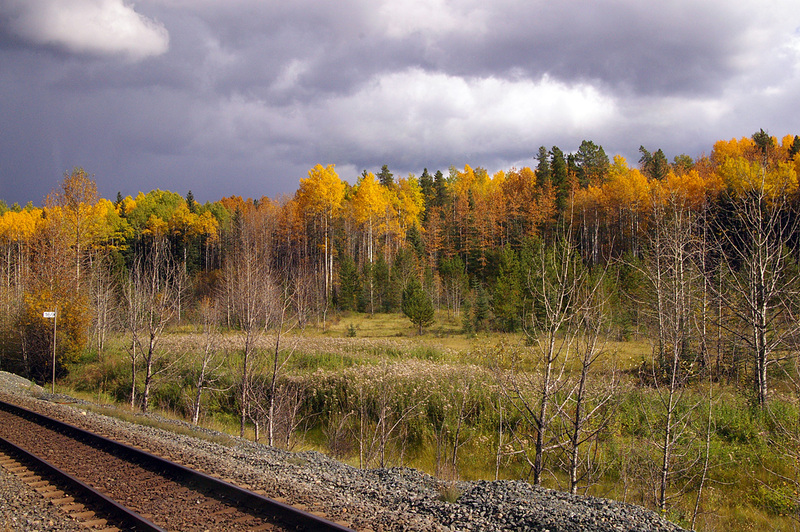 As one who has crossed Canada a dozen times by train since 1965, your photos were evocative of the trains and the countryside. That’s a really great report with pictures to boot. Thanks for taking the time to do it. 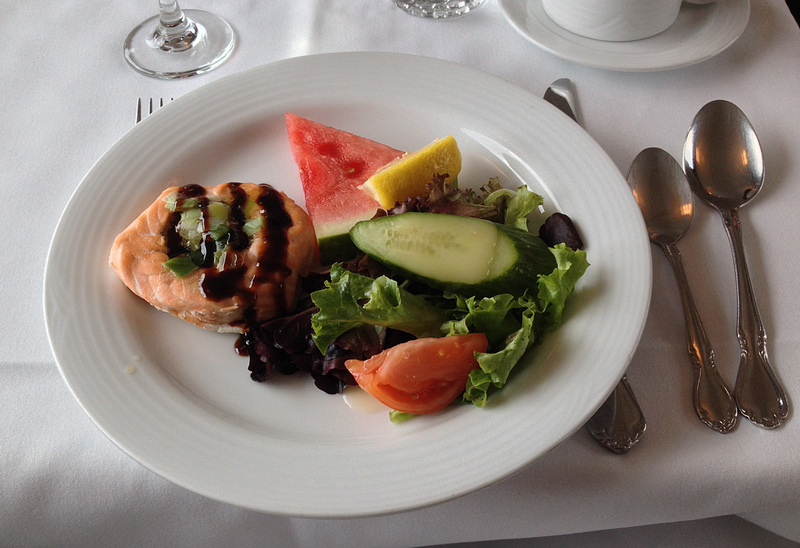 Do you have any other trips documented.